Karim received his&nbsp;PhD in Management Science and Engineering from&nbsp;Stanford University. His research&nbsp;focused on modeling technical risk and economic uncertainty in modern energy systems and industries. A Lebanese native, he originally moved to the U.S. for college education. In 2009, he received a BS in Chemical Engineering from Texas A&amp;amp;M University. 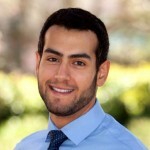 While at Stanford, he received an MS in Energy Resources Engineering in 2011, and he interned at multiple energy companies, both locally and abroad. Next year, he will be joining The Boston Consulting Group as a Consultant in the Washington, DC office. After meeting many great friends in the U.S. Armed Forces over the years, Karim is eager to help vets transition successfully from service to school or to the private sector.